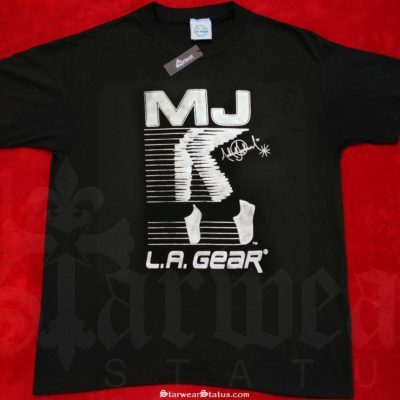 IMPOSSIBLE TO FIND LA GEAR MOON-ROCKER T-SHIRT! 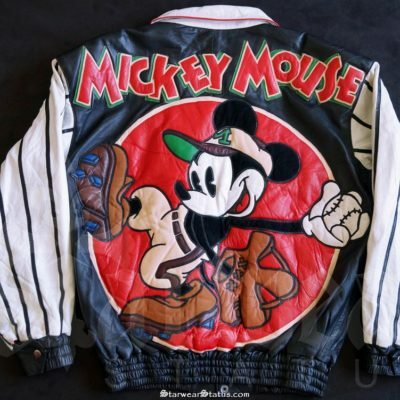 1990’s MICKEY MOUSE BASEBALL “LAMBS Leather” Jacket. 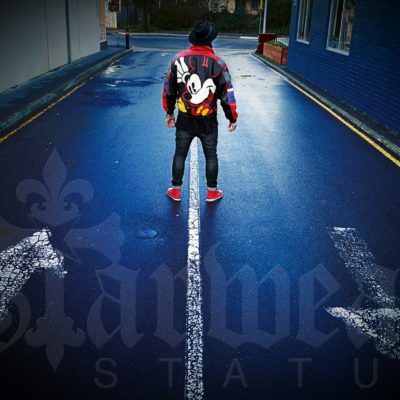 (MICKEY MOUSE ARTHOUSE “MELBOURNE CENTRAL!”) – worn for starwear status promo shoot! THIS IS AN ABSOLUTE RARITY AND COMPLETELY ONE OF A KIND! A TRUE STATEMENT PIECE!! Material: 100% Genuine Lambskin Leather w/ Suede Details. 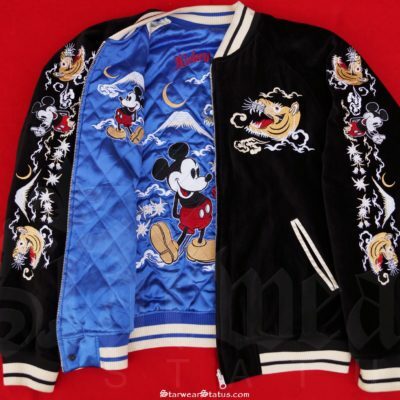 Features: Mickey Mouse Playing Baseball w/ Red Satin Inner Liner. 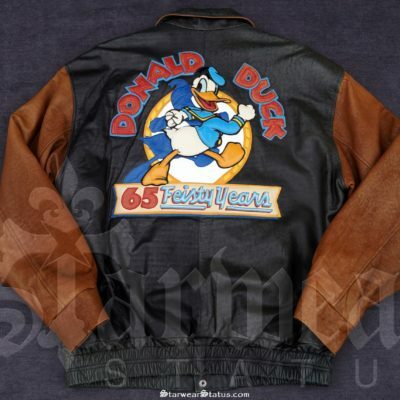 J-H Trademark: This is an ORIGINAL PIECE that inspired Jeff Hamilton’s Designs for Disney Jackets! 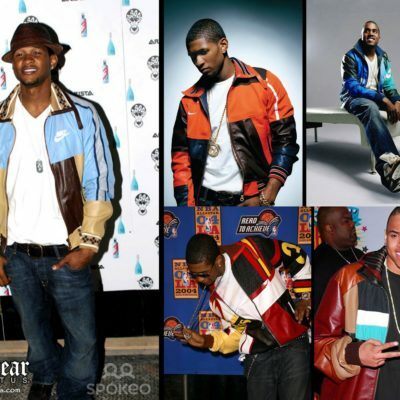 His Designs range from the NFL, NBA, NHL, MLB to all Entertainment licenses such as Warner Bros. and Disney. Very Rare & Highly Collectible for the True Disney Fan! 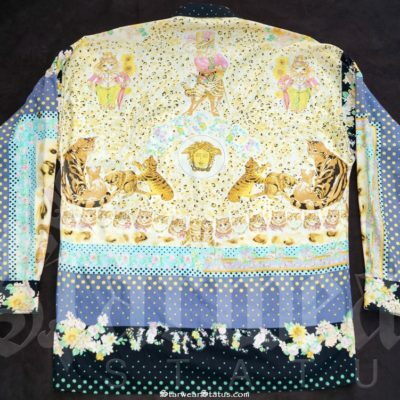 This is an incredibly detailed piece which depicts the most epic “Culturally influenced” Japanese Designs with a TWIST which of course includes MICKEY MOUSE All HAND EMBROIDERED!! 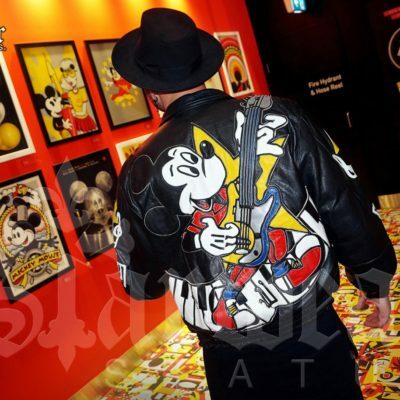 1990’s CUSTOM ORIGINAL MICKEY MOUSE Electric Guitar “Cowhide Leather” Jacket. 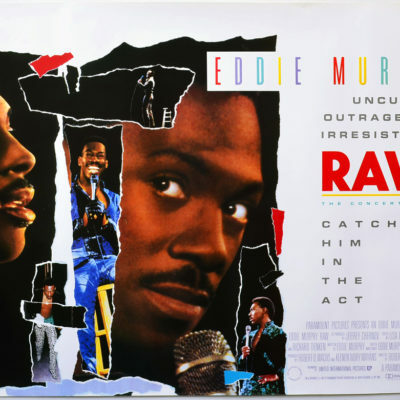 Features: Mickey Mouse Playing the Electric Guitar whilst standing on Piano Keys. 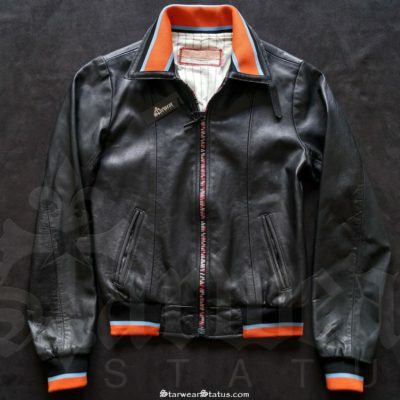 Details: 100% Genuine Cowhide Leather! 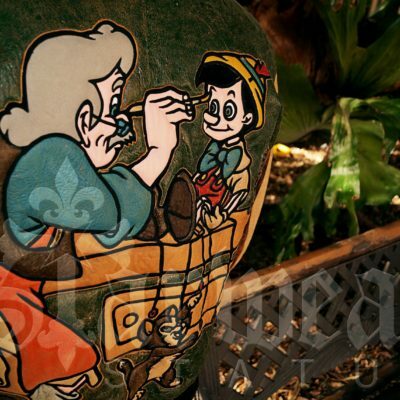 **Limited Edition WALT DISNEY GALLERY piece! ** (Numbered 25 Of 500!) 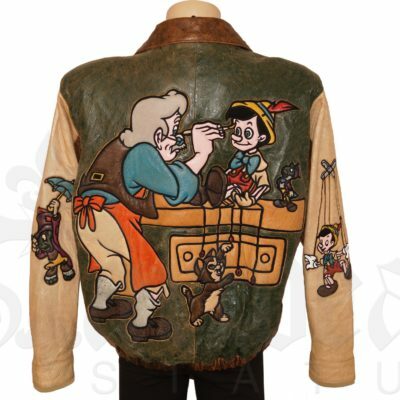 Very Rare & Highly Collectible for the True Disney Fan! Mint Condition! 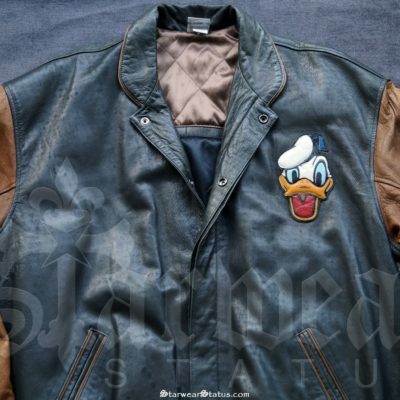 Has Amazing Workmanship with Large POP ART style design of DONALD DUCK!! 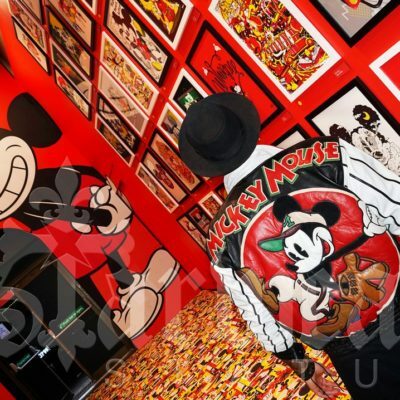 Chris Brown’s ONE OF A KIND, Early 90’s Walt Disney (MICKEY MOUSE) Cartoon Leather Bomber Jacket. (Full Leather!) **SUPER AWESOME PIECE! ** Accompanied w/ COA: Certificate Of Authenticity. 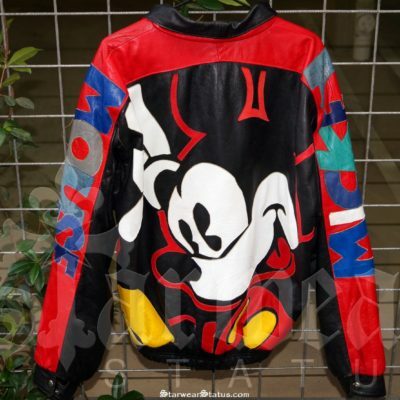 Mickey & Co Disney Mickey Mouse Wardrobe Piece Worn By CHRIS BROWN in “LEAVE BROKE” Music Video Ft. Famous Fresh!) 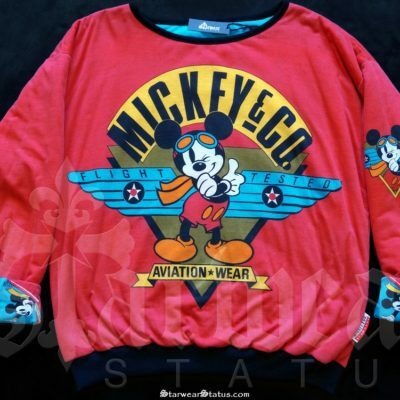 Men’s Size US Large (Will Fit Medium Comfortably!) – Comes Complete W/ COA Documentation. 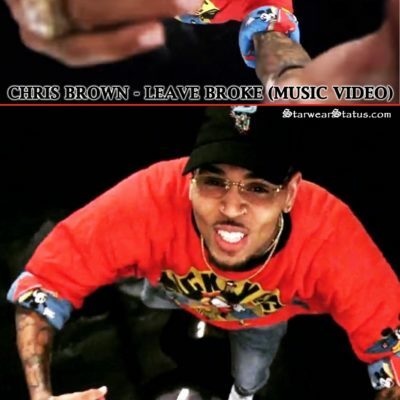 We Style & Provide Special Wardrobe pieces for numerous projects Incl/ Music Videos – This piece was Screen worn by (Chris Brown In – Leave Broke (2018) Music Video w/ Famous Fresh) Has OVER 1 MILLION VIEWS! 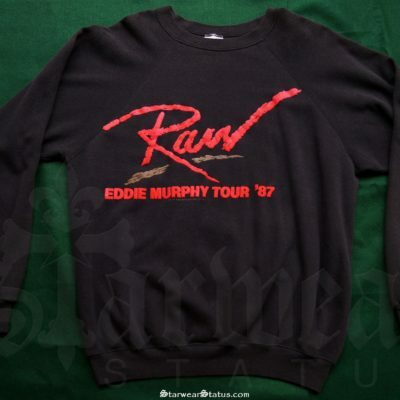 Size: Unisex Crew Neck Sweatshirt Perfect for Male or Female** Men’s Size US Medium/Large. “Accompanied by our COA “Certificate Of Authenticity!” – Our Certificate of Authenticity is presented with an embossed Starwear Status Metallic Sticker which preserves the Authenticity of these truly unique screen used movie props and celebrity owned entertainment products for you to enjoy for years to come. Size: Women’s Small/Medium – Measurements: 21.5″ back of collar to bottom, 16.5″ pit to pit. Features: Orange/Blue Color Collar with multi-colored zipper patterns. w/ Elastic Cuff and Waistband flexibility for a tailored fit. 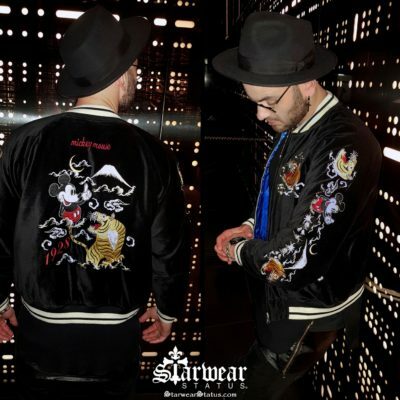 This is most definitely unique compared to your standard bomber jacket. A TRUE STATEMENT PIECE! 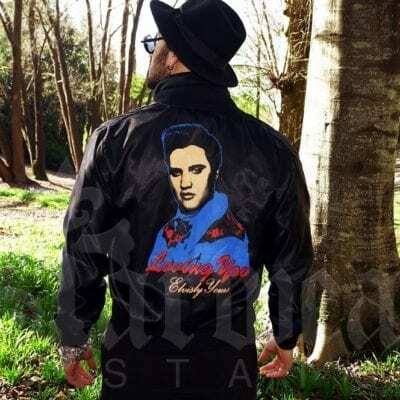 Dr Romanelli’s Creations sell for THOUSANDS & Each of these Jacket’s are ONE OF A KIND/Custom made & sold in high end boutiques.The Dr X Romanelli brand is known for reconstructing vintage garments into completely new creations. Trademark Feature: Silk ‘Pinstriped’ Inner Liner with Band-Aid Branding. Darren Romanelli (DRx, Dr. Romanelli) is a Los Angeles based designer, marketer, and director. 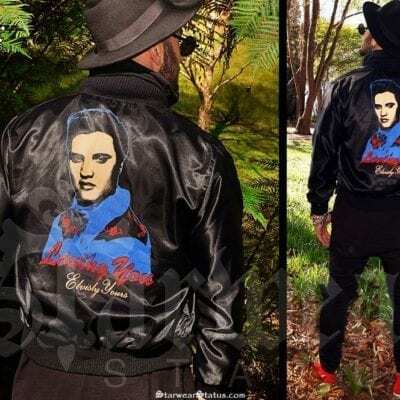 He is most notable for creating series of customized, limited edition clothing, furniture and collectibles. Romanelli adds his signature (DRx) to each project and has been involved with all levels of a project’s development, from inception to display to promotion. He has had collaborations with Converse, Coca-Cola, Jaeger Le Coultre, and Disney. Vintage 90s Gianni Versace Jeans Couture “Puss In Boots” Medusa Floral Animal Print Long-Sleeved Dress Shirt. 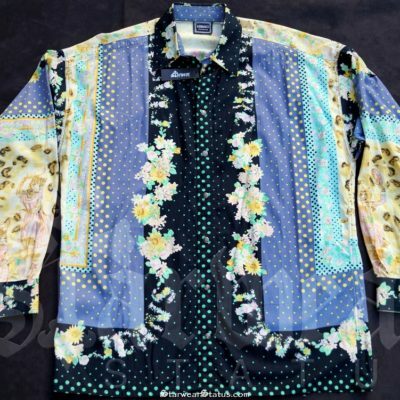 Design: Beautifully Detailed Dress Shirt Featuring Iconic Medusa Versace Logo – CATS, PUSS IN BOOTS, & Floral Designs. Measurements: Shoulder width: 23.62 in. / 60.0 cm, Sleeve length: 22.05 in. / 56.0 cm, Bust width: 25.20 in. / 64.0 cm, Body length: 32.28 in. / 82.0 cm.